This chestnut cheesecake tarts recipe is a perfect dessert anytime of the year—especially now with the Holidays! 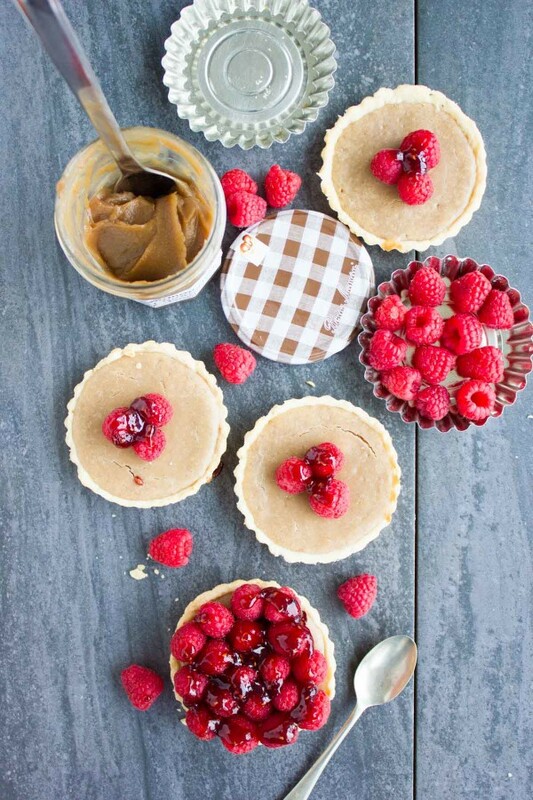 It combines some of my favorite things: chestnut, cheese cake and tarts! 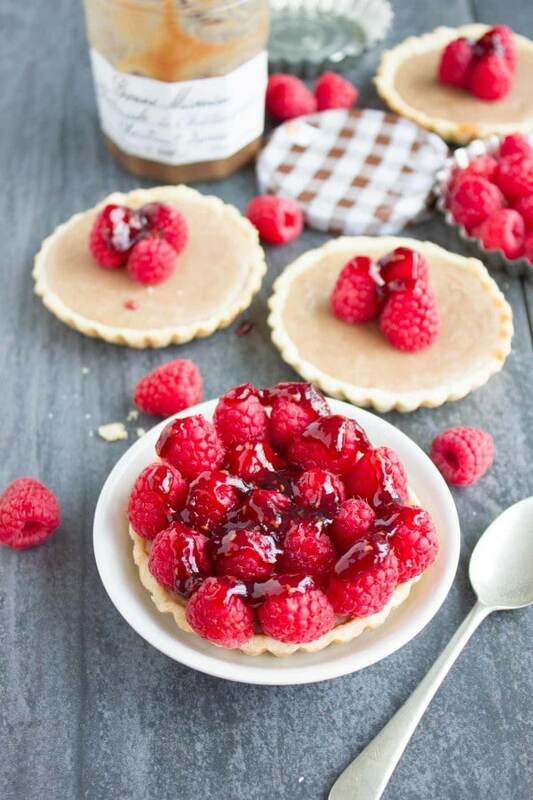 Topped with fresh raspberries for a bright and slightly tangy contrast to the sweet chestnut cheesecake filling. These tarts take only 18 mins to bake and 10 mins to prepare, and will make your Holiday table more festive this year! 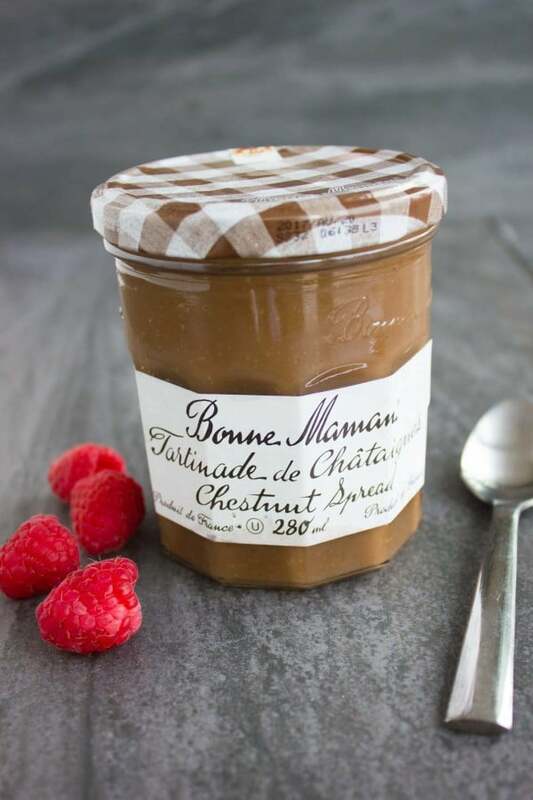 Disclosure: So today’s sweet and delicious post is sponsored by my favorite brand of jam: Bonne Maman (http://www.bonnemaman.ca/en), but all opinions expressed are definitely my own 🙂 I go way back with Bonne Maman. Back when I was a little girl and lived in Paris for nearly 5 years. 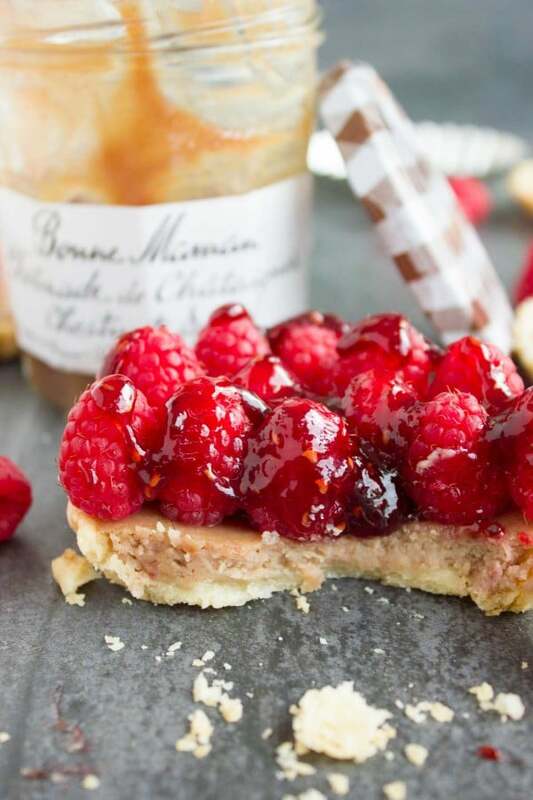 Bonne Maman was like a staple at our home, at the streets of Paris spread on freshly made crepes, in bakeries, grocery stores—it was like “THE jam”. When you see them, you feel this warm connection–a simple sticker on a wide mouth glass jar and gingham pattern lids, which makes you feel like they came straight from grandma’s house. And I think that’s brilliant. I love that sweet simple homemade look they offer which hasn’t changed over the years. “Jams are made from cooking whole fruits. 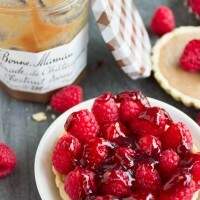 Each of Bonne Maman’s recipes in its 14 flavours of jam ensures that pieces of fruit are present in each jar. Jams have a fuller flavour of fruit. Jellies are made from only the juices of fruits. Jellies offer a uniform texture, are clear, and firm compared to preserves and jams. Bonne Maman produces an assortment of 3 jelly flavours. 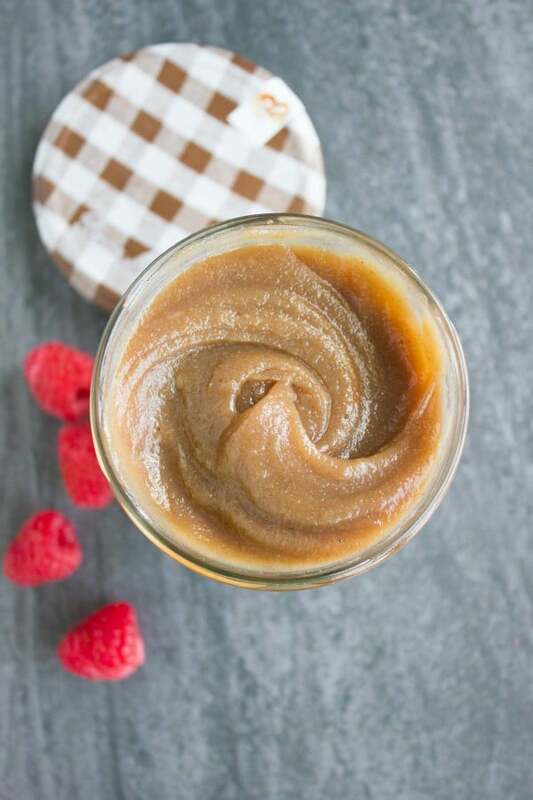 Spreads are made from whole fruit cooked with 30% less sugar than regular Bonne Maman jams. Bonne Maman produces an assortment of 4 spread flavours. 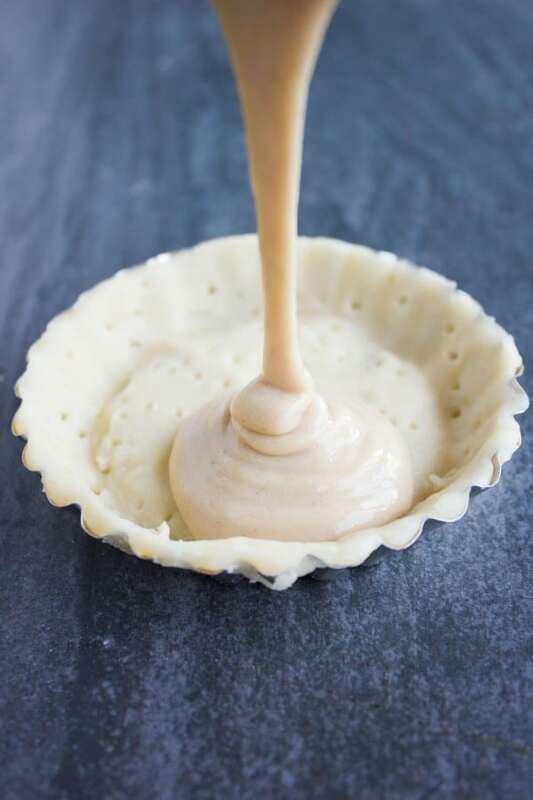 So for our chestnut cheesecake tarts recipe today, the star was Bonne Maman’s chestnut spread, which is a sweet smooth spread of chestnuts, sugar and vanilla. Again, simple, fresh and delicious ingredients. I find it has a good balance of sweetness and “nutty” chestnut with a hint of vanilla. 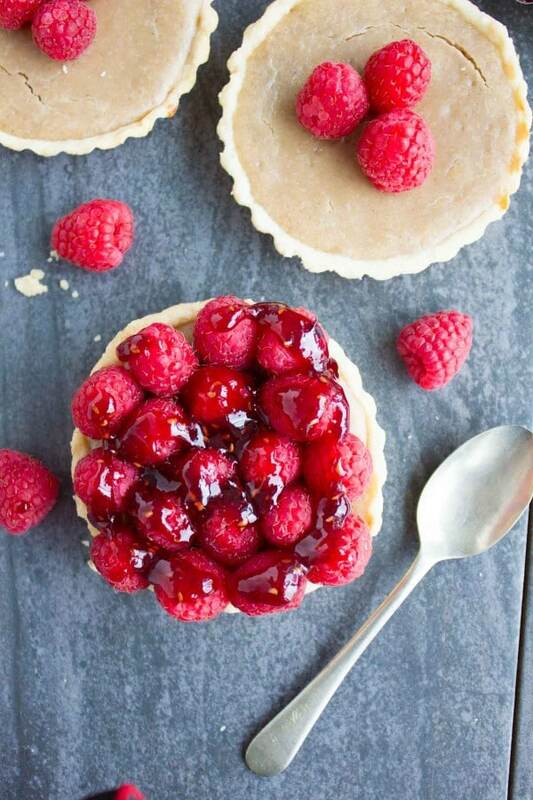 Do you remember these mini raspberry cheesecakes —my favorite fool proof and creamy cheesecake recipe? I thought of adding a bit of chestnut feel to it, and oh how I love it more right now! The chestnut spread is sweet as it is, so I didn’t need to add any extra sugar or even vanilla. 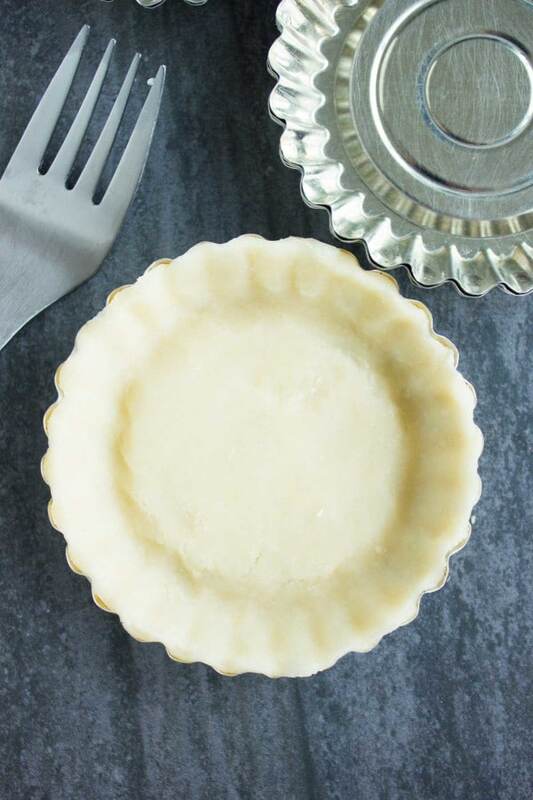 And when you use this easy flakey pie dough as a base for tarts— you get pure DIVINE creamy chestnut cheesecake tarts ! If you haven’t made many tarts before, I recommend you start now 🙂 Just look at the photos and see how straight forward and easy these chestnut cheesecake tarts are! Make a batch of easy flakey pie dough (or use store bought puff pastry). Roll the dough and cut out circles to fit in your tart molds (I used standard 2 inch diameter), press dough firmly into the molds and prick the surface with a fork all over. 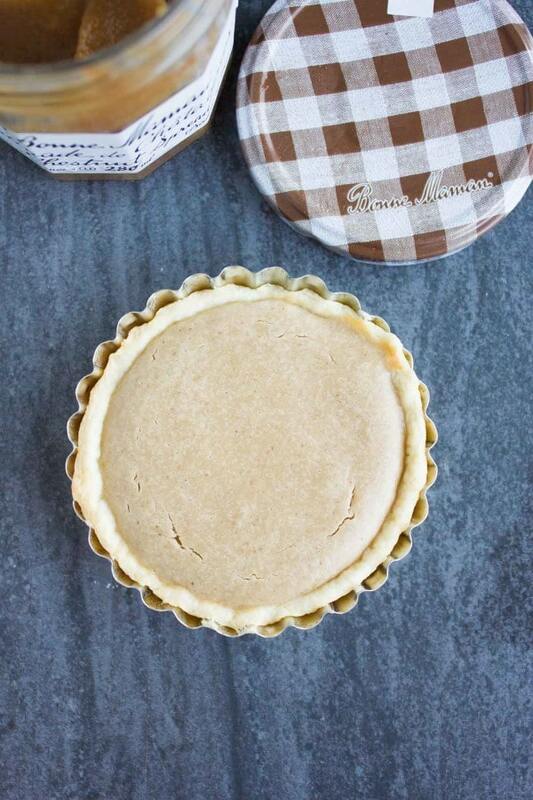 Place the tart shells in the fridge for a couple of minutes while you prepare the filling: Bonne Maman chestnut spread, cream cheese, egg, pinch of salt—beat together for a min. Pour the filling evenly over the chilled tart shells and bake for 18 mins. Cool for a few mins, top with your favorite toppings! Now toppings are really endless—I used fresh raspberries here which I glazed with Bonne Maman raspberry jam (for a sweet raspberry taste, and gorgeous shine to my berries), you can use just jam, or your favorite fruits, nuts, caramel, caramelized nuts, powdered sugar, or just plain as it is—it’s just a delicious tart that you can enjoy as plain or festive as you feel like! 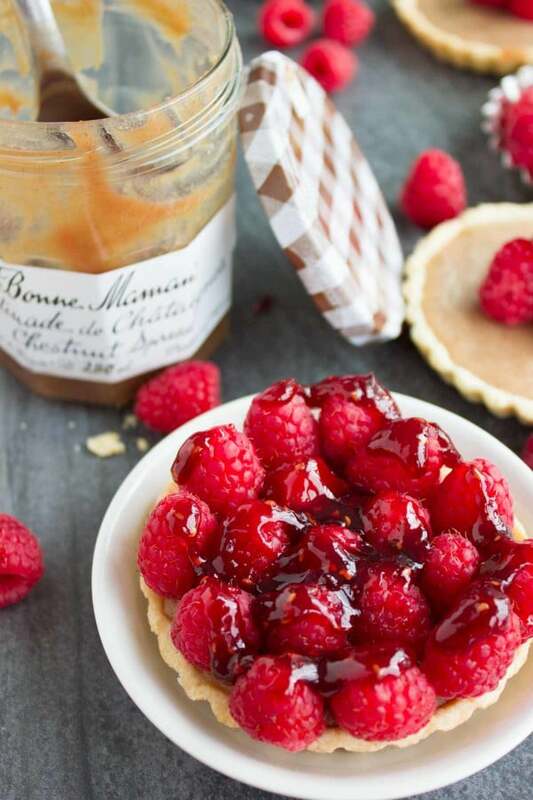 If you’re wondering what can you do with the remaining Bonne Maman chestnut spread, well obviously make those lovely tarts again—you will enjoy them! 🙂 And I also found this spread is lovely on toast bread, thinned out with maple syrup and drizzled on your pancakes, waffles, or a filling for croissants, bagels, or as a load of flavor to your yogurts, ice creams and much more! how festive does this 3 mins appetizer look?! And how about savoury? Yes indeed this spread is a perfect compliment to brie cheese! I love it as a filling for brie cheese with some pecans, baked and drizzled with honey. 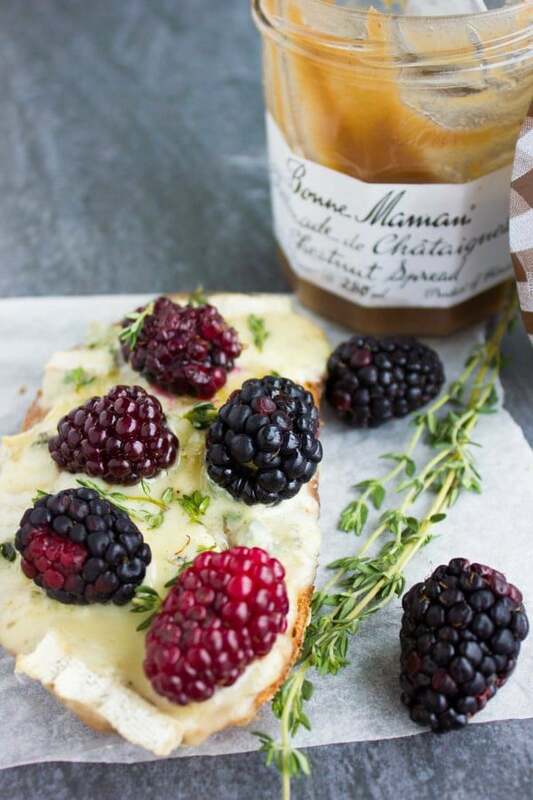 Or if you’re rushed, just spread a tablespoon of chestnut spread on bread, top with brie (or goat cheese, or blue cheese) and top it with blackberries and bake away for a: 5 mins show stopper appetizer! Another fabulous way I use chestnut spread is for sweetening my salad dressings—just a tablespoon of chestnut spread mixed with 1/4 cup balsamic vinegar and 1 teaspoon basil pesto will transform your regular salad into a gourmet salad! 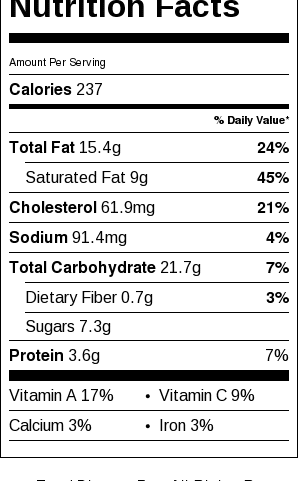 Or 1 tablespoon of chestnut spread mixed with 1/4 cup of soy sauce for an instant sauce to your stir fry! Try sweet and savoury and see which is your favorite! Roll out the easy flakey pie dough ( or store bought puff pastry) into a 1/16th inch thickness. 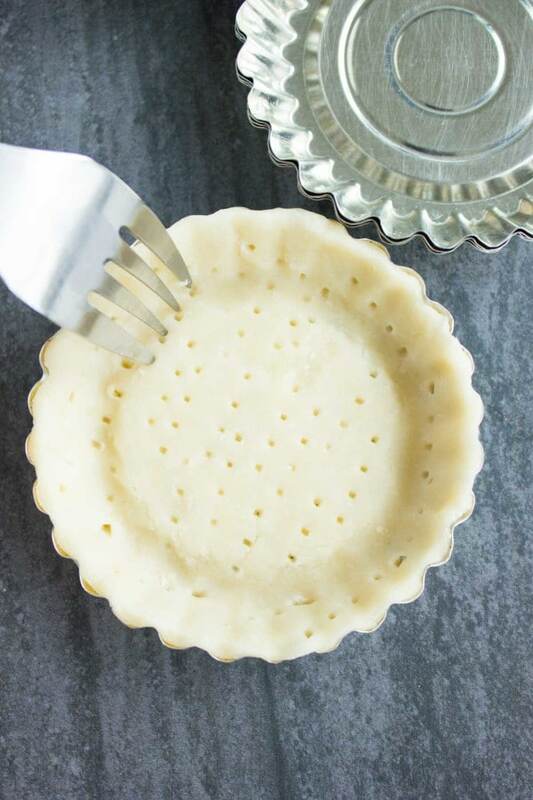 Cut rounds of the pie dough to fit into your tart molds. I used standard 2 inch size diameter tart shells, and cut the pie dough into 3 inch circles to fit the tart shell entirely (bottom and sides). Place the dough firmly on the inside of the tart mold and make sure the bottom and sides are covered. Press the dough firmly into the tart mold and prick the dough with a fork all over. Chill the the tart molds while you prepare the filling. Prepare the chestnut cheesecake filling by placing the cream cheese in a large bowl and then whisking in the chestnut spread until smooth. Add in the egg and whisk again until smooth—avoid over mixing after adding the egg. Pour the filling evenly over the tarts and bake for 18-20 mins until the filling puffs and the tart dough edges are slightly golden. Remove the tarts form the oven and let them cool for about an hour. 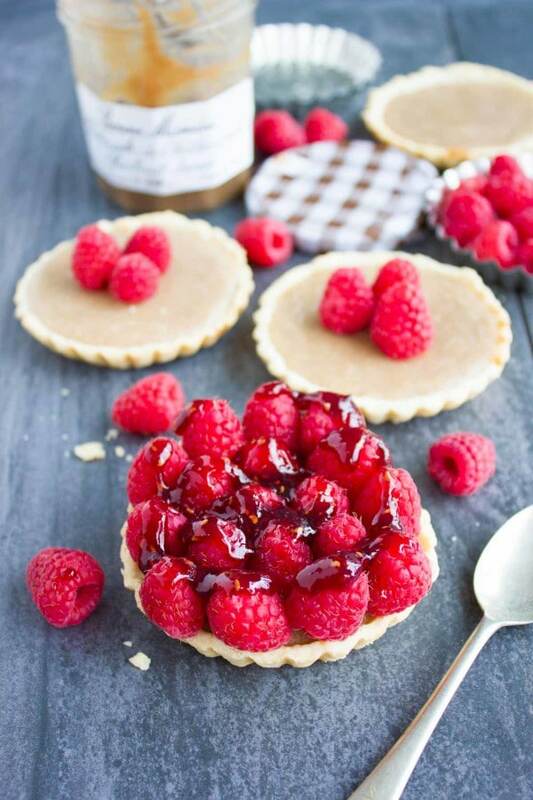 Top the tarts with fresh raspberries and drizzle some extra raspberry jam over them for shine and sweetness. 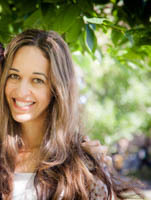 Disclosure: I received free products for this post. The opinions on this blog are my own.